Preheat oven to 400°F. 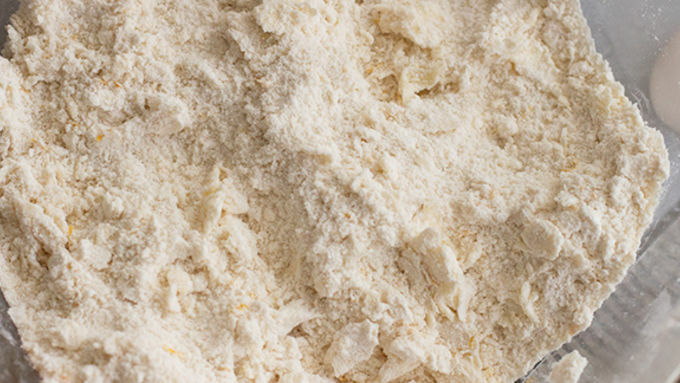 In a large bowl whisk together the flour, sugar, baking powder, baking soda, salt, and orange zest. Work the cold butter in with fingertips so the butter’s evenly distributed and looks like small gravel or peas mixed with sand. Toss the chocolate with that mixture and place in the freezer while you finish up the other ingredients. In a measuring cup measure out the buttermilk and beat in the egg and vanilla.Make a well in the dry ingredients and pour in the wet ingredients. 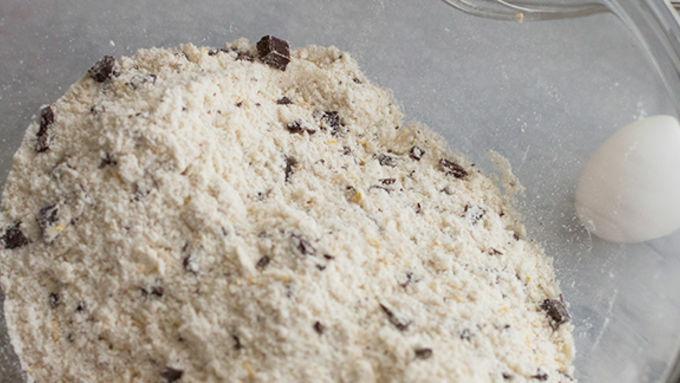 Use a fork to stir it all together to just before the flour is completely combined. Plop the mixture out onto a cutting board and use your hands to finish mixing, then quickly form into a 7” circle and cut into eight wedges. 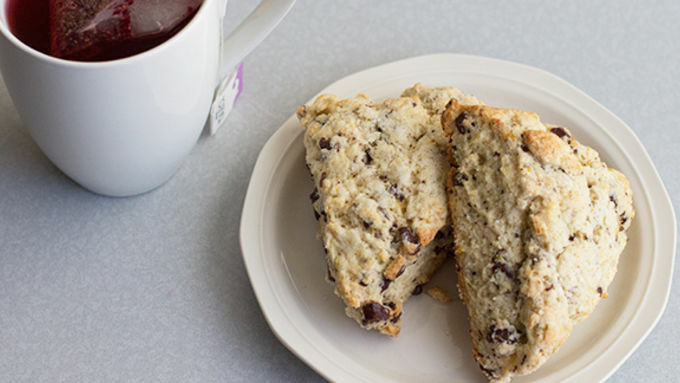 Place wedges onto a parchment lined baking sheet and sprinkle with sugar. Bake for 12-14 min until lightly golden brown. 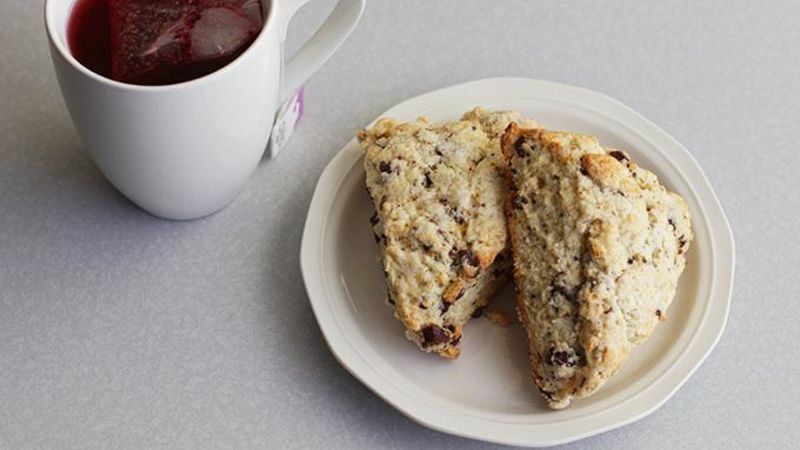 Scones are one of my favorite things to make for breakfast or brunch because they’re fast, really easy to make, and really easy to customize with any flavor your heart desires. 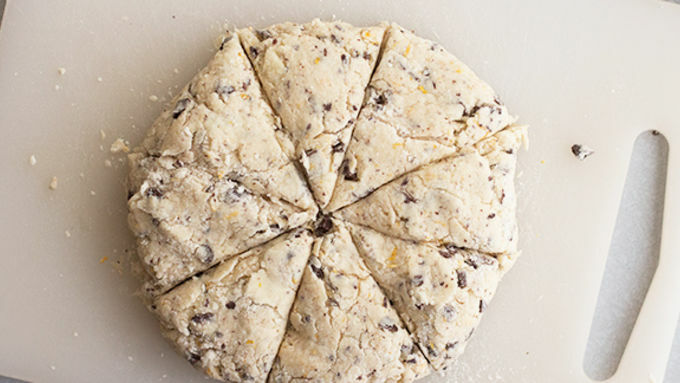 Today we’re going with one of my favorite combos: Chocolate and orange. I’ve also had success using raspberries and chocolate before, and I’m sure white chocolate would be insanely good. The possibilities are seriously endless! Personally, I like to eat mine with some sort of hot beverage, either tea or coffee. Enjoy!